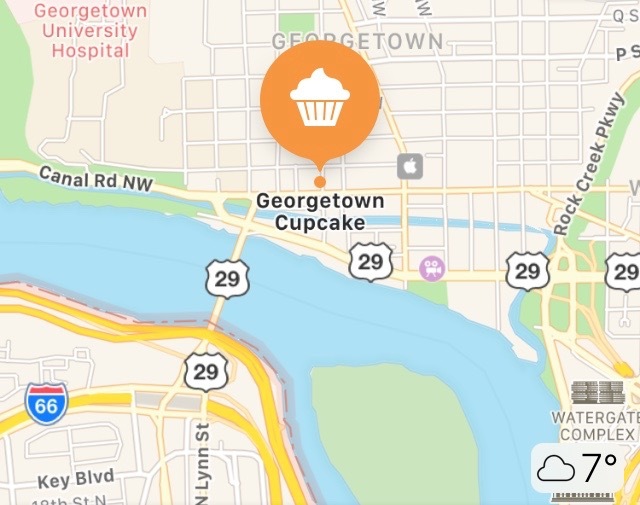 During a recent trip to Washington DC, I was able to check off an item on my bucket list: a visit to Georgetown Cupcake. 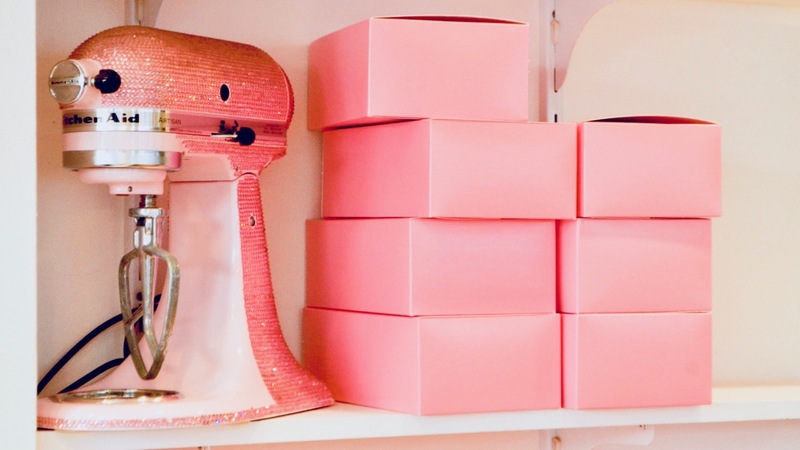 Toronto-raised sisters Katherine Berman and Sophie Lamontagne opened Georgetown Cupcake in 2008. 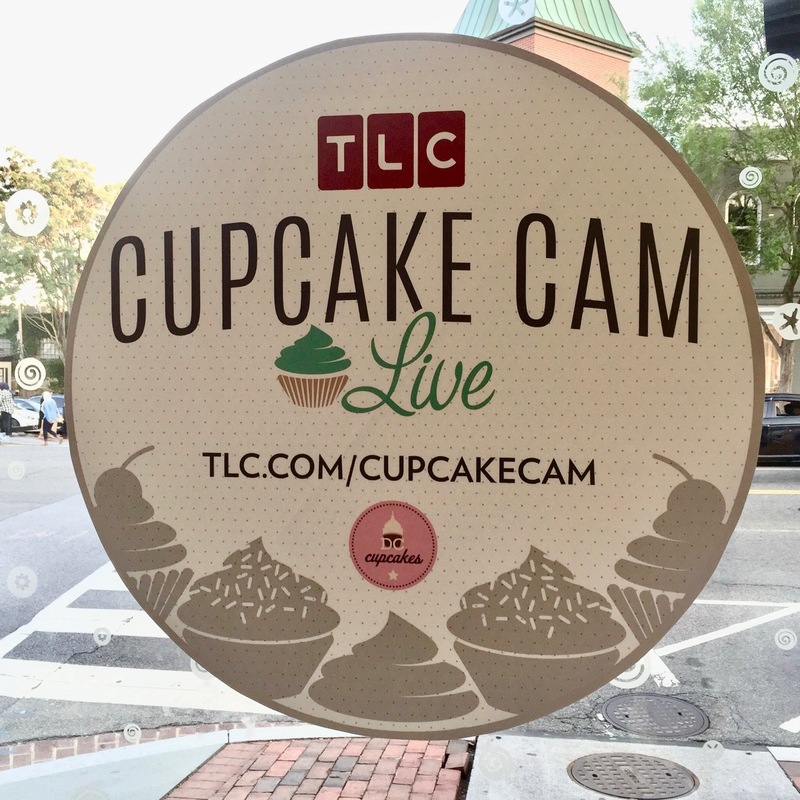 Spending time with their grandmother as children developed their love for the kitchen, which eventually led to them turning their backs to the corporate life to start their own cupcake business. The first location was a tiny house on Potomac Street, and it was a big hit from the get-go. 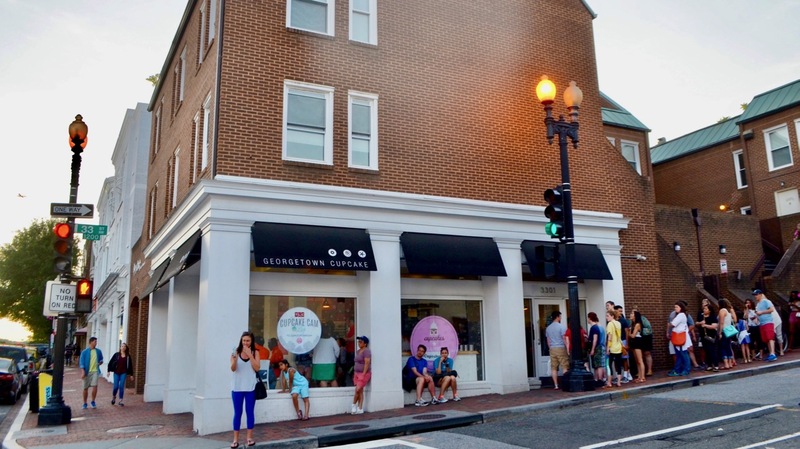 As word of their delicious cupcakes got around, Georgetown Cupcake would often find themselves running out of stock in the middle of the day. Demand for their cupcakes are so high that there are usually lines of people that extend out the door and around the corner. I went to the second location, the one at the corner of 33rd and M. It’s in a nice part of Georgetown, with plenty of street parking a couple of blocks away. It was almost closing time, and there was still a line of people. Not a massive line, but judging from their faces, they were all very eager to get their hands on some cupcakes before the end of the day. As soon as you walk in the door, you’ll see (and smell) all the cupcake goodness all around. There’s a couple of tables here and there where you can have your cupcakes in peace, but these babies were meant to be put in a box and taken home. 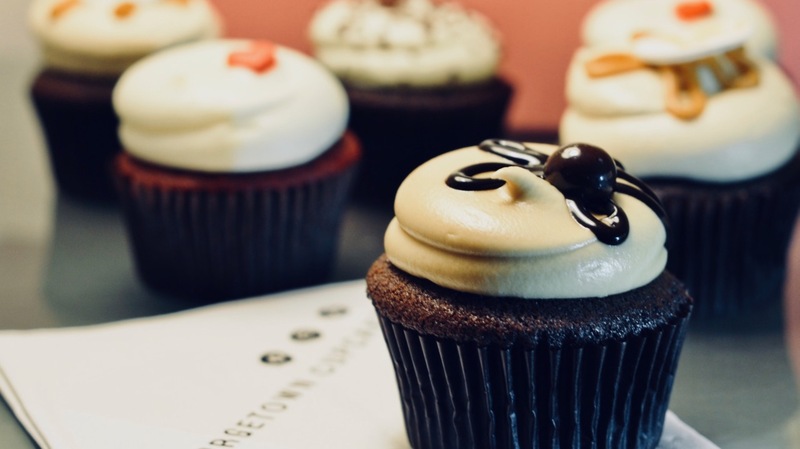 Georgetown Cupcake has thirty flavours available everyday, from the usual chocolate, vanilla and red velvet, but they also have season-specific varieties, depending on the time of the year. The ladies behind the counter said that their shop produces an average of 10,000 cupcakes a day. I said that I didn’t need that many, so I took home a box of six. The sisters weren’t in on the day I went, which was a bit disappointing. It would’ve been nice to take a picture or two with fellow Torontonians in DC. Still, I went home with a box of cupcakes, so I’d say it was a very successful trip indeed! 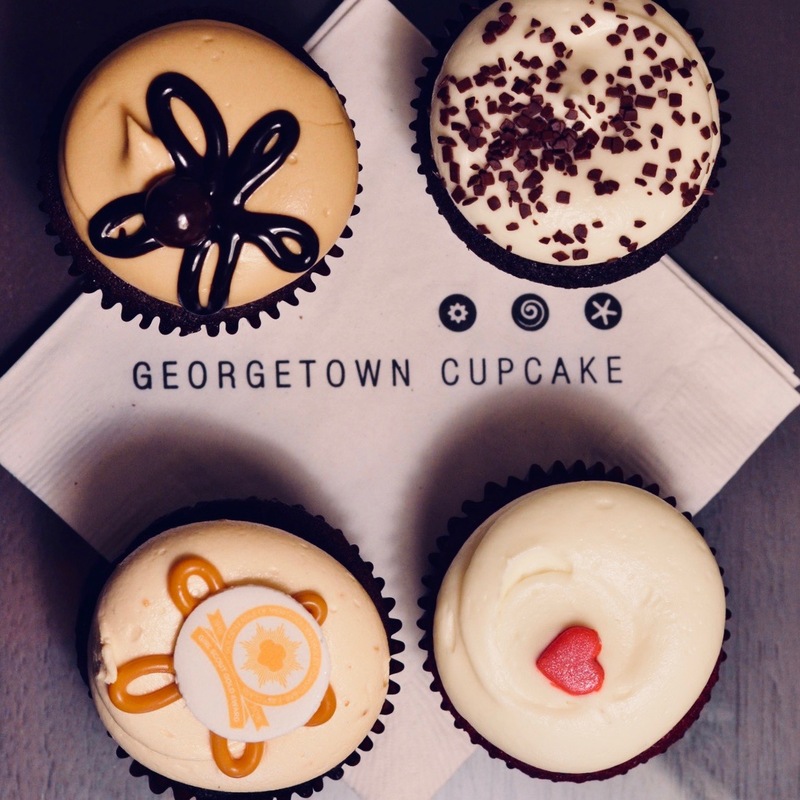 Find out more about Georgetown Cupcake here.